Richmond skunk removal services are handled with the utmost care to prevent skunks from spraying. Having skunks lingering around your property is annoying, and when they start acting abnormal, like coming out in the day, being aggressive, or extremely sluggish, this could be a sign of rabies or distemper. You should contact our local skunk removal pros in Richmond, VA immediately if you notice these problems. You may find that skunks have comfortably bedded in areas such as under your porch, crawl space, garage, shed, or other accessible places. When you need Richmond skunk removal services, don’t hesitate to call us for a free estimate. 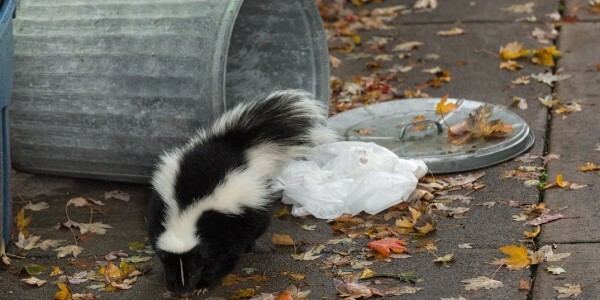 We’ve listed a few signs to look for if you think you have a skunk living on your property. You can be alerted that you need skunk removal in Richmond, VA when you notice burrowing in your lawn or garden, missing chicken eggs, your pet has been sprayed (skunked), digging in unwanted areas, droppings, or that notorious skunk odor. Skunks are great at hiding and our local Richmond Virginia wildlife removal experts know how to track and find these animals so that they can be humanely removed. 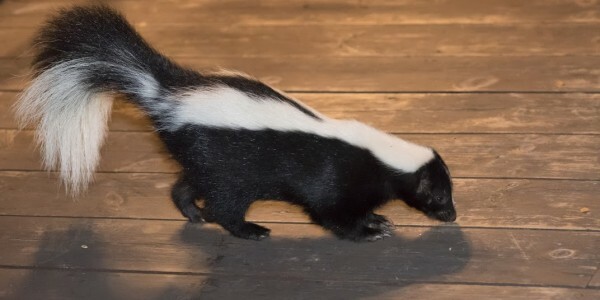 You may notice that you need to call the best local wildlife removal and animal control company in Richmond when a pet is sprayed by the burning scent of skunk spray. They’ll also spray the sides of buildings and homes, as well as other wildlife in the area. Our animal removal service for skunks in Richmond, VA will be with you every step of the way when a skunk invades your space. We’ll start with a free quote for our skunk removal and trapping services. You’ll find that we provide an affordable skunk removal service, and we’ll answer any questions you have about our methods for Richmond Virginia wildlife removal and animal control. Once we’ve located and humanely trapped the animal, we’ll help with the damage cleanup and remove the smells that can result from a skunk being in and around your property for an extended period of time. When you need wildlife removal services, we’re here to make your experience a positive one because we know that having a skunk problem can be stressful. We work diligently to be your local solution for animal control whether you have an Eastern Spotted Skunk in your home, or a Striped Skunk invading your workplace. Our team of skunk experts are ready to protect your structure, as well as make sure that all laws are abided by where wildlife protection is concerned. If you have unwanted skunks invading your property, simply contact us today by calling or filling out the online form.